DNS Accountants is an established award winning accounting, tax planning, and consulting services company hailed as one of the best Contractor Accountants in Liverpool and other regions in the United Kingdom. DNS provides tax, finance and accountancy services to growing businesses, contractors, freelancers and business start-ups. It is a household name in the business domain of the country with more than 2000 clients from all over the country being served by a team of highly qualified and highly dedicated professionals since our inception in 2005. How has DNS Accountants grown? DNS Accountants started in 2005 as a conventional accountancy practice. Our founder was highly passionate and driven towards his dream from day one and hence the one man business developed rapidly to exhibit an award nominated online accounting software and a team comprising of some of the most talented accounting and taxation professionals. From 2008 to 2012, DNS acquired a large number of clients and gained popularity as the Best IT Contractor Accountants in Liverpool and all over the country. With a unique customer friendly accountancy and tax service and a private cloud-based online accounting software and an established head office in Harrow in North West London, DNS is now a force to reckon with. The potential of DNS Accountants has been rightly recognized by the business world with numerous awards and recognitions being bestowed on us. The company now has 4 Founder Franchisees aiding its development in the United Kingdom. How’s the business scenario in Liverpool? A major metropolitan borough in northwest England, it is the main city within the Liverpool City Region. The economy and business pool of Liverpool is one of the largest contributors to England’s economic growth. The industries in Liverpool mostly comprise public and private service sector industries. According to employment figures from 2007, more than 60% of the city’s population was employed in the city administration, health sector, educational institutions, and banking finance and investment sectors. Liverpool is also home to some mastermind architectural wonders, making it an ideal location for film shooting. Several historical events and acquaintances in the city have also led to a very strong tourism industry in the city. The USP of DNS Accountants lies in our client and customer centric operations team. The company considers Innovation, People, and Technology to be its strongest point. 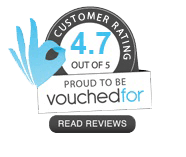 Clients’ reviews make us one of the Best IT Contractor Accountants in Liverpool. 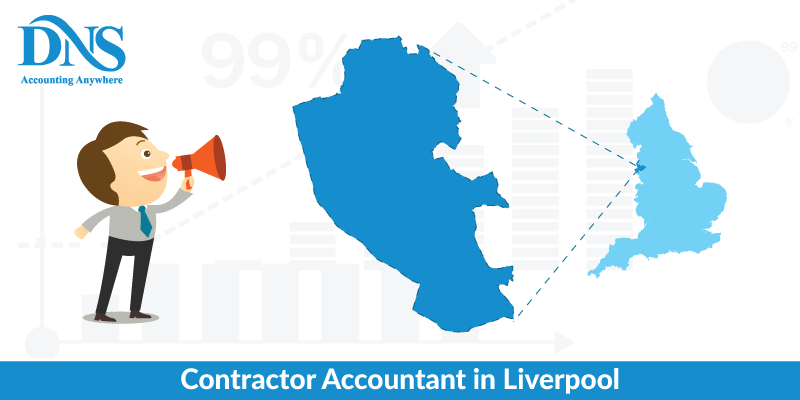 Our affordable service rates have made clients label us as one of the cheapest Contractor Accountant in Liverpool. DNS introduced this service taking into account the challenges and difficulties faced by start-up entrepreneurs. DNS aims at empowering the start-up clients by keeping their focus on sales, recruitment, and implementation of the business idea. Expert accountants from DNS take care of all the financial matters on behalf of the client. DNS believes in the following services as four success pillars for the development and maintenance of a start-up: Accounting Compliance and Tax Advice, Business Growth System, Dedicated Account Manager and Smart Cloud Software. According to the Institute of Management Accountants (IMA):"Management accounting is a profession that involves partnering in management decision making, devising planning and performance management systems, and providing expertise in financial reporting and control to assist management in the formulation and implementation of an organization's strategy". It differs from financial accountancy in the sense that managerial accountancy focuses on detailed and segregated information about products or subdivisions within an agency to help in better planning and implementation of future projects and budgets. Financial accounting focuses on the entire business as a whole. DNS provides the Management Accounting Service to its clients wherein we act as a third party advisor to the customer business acting as an interim manager of operations. With highly qualified, adept and passionate accountants taking care of your managerial accounts, you can sit back and relax as they figure out the most relevant strategies to improve the reach of your business in all departments. Even while providing its clients the required services, DNS strives to maintain transparency and promptness when it comes to responding to customer queries and questions. Reviews gathered for our Management Accounts Services have almost always been satisfactory with clients rehiring DNS for subsequent services. The Payroll RTI is an HMRC initiative to improve the accuracy and functioning of PAYE, reducing the need to send out corrections for overpayment or underpayment of employees and the possibility of fraud with clients. Under the new RTI legislation, employers are required to submit information electronically over the internet to HMRC on or before the date of salary payment to employees instead of submitting such information just once a year, as was the rule previously. This venture ensures transparency between the HMRC and the country’s businesses. The submission of details for all employees irrespective of stature and pay guarantees that all government norms of salaries are followed and chances of fraud commitment by high paid officials are nullified. Birkenhead, Bootle, Wallasey, Bebington, Litherland, Huyton (Roby) and Warrington have recently witnessed the extension of DNS Accountants services in their region. This is certainly good news for businesses and freelancers in these areas as they can put the accountancy and tax related departments under the services of DNS to ensure smooth operations in the respective departments. Trainee Accountants in Liverpool have been provided with working opportunities and Chartered Accountants in LiverpoolM have been made available by DNS to handle complex accountancy matter. We are much renowned as Accountants for Contractors in Liverpool making DNS Accountants a popular name in the Liverpool and surrounding areas.